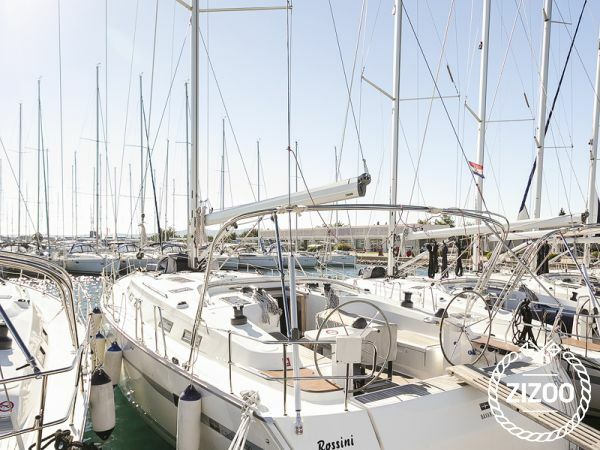 This lovely Bavaria 50 built in 2012 provides all the comfort and safety needed for a journey you will not soon forget. Step aboard to hear the tale only ancient mariners still remember. According to the legend, after God finished creating the world, he threw the remaining handful of white stones into the sea, and thus created the Kornati archipelago. Drop off your bags in the cabins below, and get comfy in the cockpit, treating your lungs to some fresh sea air, letting the breeze mess up your hair. Ancient history goes hand in hand with traditional food so make sure you find a place serving local delicacies and wine, you will not regret it! From Sukosan where your boat is located, you will easily reach any of God's stones, hiding quiet beaches and magnificent cliffs that will leave you in awe. The Adriatic Charter team will make sure you have the most pleasant and safe holiday, and they will also let you in on a few gems in the area, if you ask them nicely.